I have been on a life-long search to understand the true concept of ‘izzat’. Literally translated, ‘izzat’ is defined as honour; but this term doesn’t quite grasp the gravity of the concept as it traditionally lives on in South Asia. 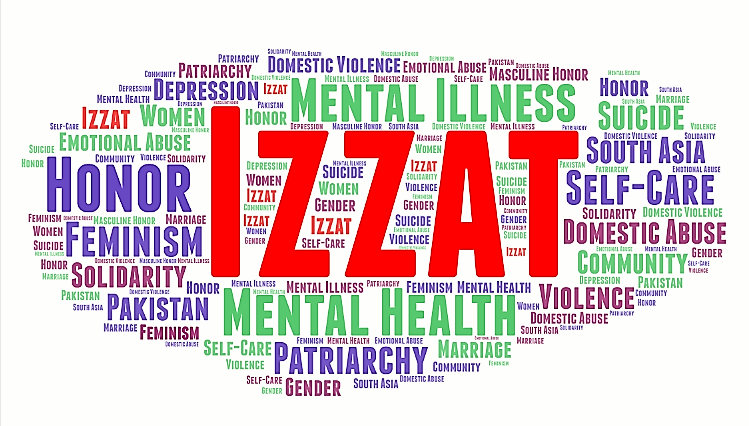 In Pakistan, izzat is a way of life. It’s as insidious as self- respect and as mighty as reputation. It’s an easy justification for acts of violence and a get-out-of-jail-free card. It’s an agent of socio-cultural (and at times, legal) immunity, and above all, it is a silent weapon of patriarchy. In a culture based on patriarchal honour, a man feels obliged to ‘protect’ his reputation by responding to acts or words that he considers threatening through the use of violence. Honour manifests itself as an epitome of double standards, in the dichotomy of primordial gender binaries. Stakes are at their highest when defending or establishing one’s honour, yet the honour of men is so fragile that it is easily impacted and wounded by the actions of others. Men are happy to engage in acts that would be considered ‘dishonorable’, but they use fear to ensure that those incidents remain within the household. They will continue to beat their wives and partake in emotional and psychological abuse, but these acts are not considered to be as dishonourable as their son wanting to marry a woman from a different sect, caste or creed. Men will sexually assault women and disregard any concept of consent, but they will burn their daughters, quite literally, if she has a consensual ‘affair’ with a man from a different community. Izzat justifies murder as long as it is intended to ‘save the honour’ of a family. Hundreds of women are disfigured or lose their lives to stove-burns every year in Pakistan. The victims are usually young married women and the aggressors include husbands and in-laws. Domestic violence and intimate partner abuse are typically part of an on-going pattern of patriarchal control, rather than an isolated act of physical aggression; and acts of violence in marital relationships are almost always accompanied by psychological abuse, and in thirty to fifty percent of cases, it is also accompanied by sexual abuse. In South Asia, a number of values and norms embedded in society are particularly prevalent in maintaining unbalanced power relations between men and women including the notion that men are inherently superior to women, that it is appropriate for men to ‘discipline’ women, and of course, that a woman’s behaviour is fundamentally linked to male honour. No one is expected to intervene on behalf of the victim as ‘domestic issues’ are seen to be ‘private matters’ and under the sole discretion of men in the household, and acts are justified as being necessary to protect their patriarchal honour. Suicidal patients in South Asia are largely married women, who cite the source of their struggles as conflict with the husband and conflict with the in-laws. Domestic abuse is just one of the many avenues available in society to keep women under patriarchal control, but it is one used most readily. If a woman stands up to this abuse, mental illness is predominantly used as an avenue to dismiss them. Deeming a woman as being ‘mentally unfit’ is the easiest means of diverting blame away from the actions of male figures in the house, and ultimately protect the family’s righteousness. After all, appearances are what confer justification. The link between mental health and patriarchal honour is crucial to make for one simple reason: the interplay between shame and fear surrounds narratives of honour just as much as it surrounds narratives of mental illness. Stigma is synonymous to shame and dishonour; and the stigma attributed to mental health goes one step further to manifest itself in stereotypes, prejudice and discrimination. Stereotyping individuals as ‘dangerous’ or ‘crazy’ is a convenient means for exclusion because it plays on the rhetoric of fear. Those battling mental illnesses are taught to feel ashamed, to believe that their ‘personality flaws’ are disgraceful, and their ‘inability to cope’ brings dishonour upon those associated with them. We are increasingly seeing a shift away from a singular medical or pathological approach to mental health and well-being, to one which strongly considers social environments, including gendered norms and the weight put on patriarchal values in societies. In Pakistan, women are twice as likely to suffer a greater burden on their mental health and well-being, as the men around them consistently exercise their culturally-accepted rights to control women. Over fifty percent of women are physically abused in relationships, and over ninety percent are psychologically, emotionally or verbally abused through name-calling, blaming, shaming, isolation, intimidation or other acts which are geared to chip away at a woman’s self-worth and independence. It is the habitual pattern of demeaning through verbal offence and excessive criticism. Psychological and emotional abuse, in many ways, has consequences more adverse than physical wounds – it puts women at greater risk for depression, suicide, alcohol and drug abuse, and post-traumatic stress disorders. Often due to the lack of ‘physical’ evidence, many cases of psychological abuse go unrecognized, unreported, and when reported, quickly dismissed and disbelieved. When men find their control in romantic or familial relationships compromised, balance is restored by using physical or emotional abuse as a means of silencing women, and in attempt to convince women they are worthless if not seen as extensions of their male counterparts. A woman’s response to marital or familial abuse is typically limited by the options available to her. Seventy percent choose to remain in abusive relationships due to the fear of retribution, financial dependency, concern for their children, or lack of support from family and friends. Given that the traditional South Asian household is a joint, patrilocal social unit where two or more generations affiliated by blood or close relations live together, the level of importance placed on communal well-being and familial harmony, including obedience to parents, overrides personal autonomy or preferences. From a young age, society teaches women to subordinate their personal interests to the needs of the family. It teaches women to endure abuse and violence as their mothers and grandmothers did. Society teaches women that there is little room for failure in marriage, that it is better to remain in a poor marriage than to get a divorce. A woman, if allowed to work, is told to ensure she doesn’t earn more than her husband to ‘protect his honour’. A wife is made to seek permission from her husband or her father-in-law, to get prior approval of what she is wearing, where she is going and who she is meeting, because beyond the four walls of the house, the honour of these men lie on her bare back. Her every step carries the burden of shame and fear. She is told to censor her words, to silence her voice and to lower her gaze. Her independence is seen as a threat, her opinions are dismissed as unfounded, and her pain is deemed invalid. When a woman is battling a mental illness, she carries the same burdens. Society sees her mental health challenges as an opportunity to further exert patriarchal structures. She is told to control her emotions, to stop falsifying claims, and to maintain an appearance of normality. Her memories are seen as erroneous, her actions are viewed as incapacitated and irrational, and her perceptions of reality considered misguided. 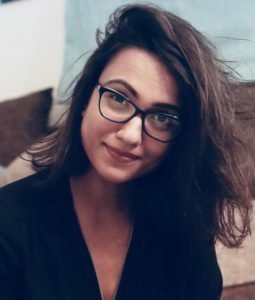 There are numerous cases pouring out of South Asia that are testament to the links between the protection of patriarchal honour and the use of mental health to discredit women who try to break free from toxic relationships. Cases of husbands and in-laws approaching mental health professionals in hopes of getting a diagnosis to label women as unfit parents or partners, cases of husbands and in-laws attempting to delay divorce proceedings by labelling women as ‘mentally incapable’ of acting upon her right to divorce, cases of husbands trying to convince women that no one else would ‘accept’ them due to their ‘psychotic’ problems, cases of in-laws saving face in their communities, and protecting their honour by scapegoating a woman’s mental health, shedding doubt on a woman’s version of events and stating her memories are not to be trusted, cases of husbands attempting to sue a woman for not fulfilling her ‘religious and societal duties’ as a wife—the list goes on. These claims may appear to be frivolous, yet they’re an epidemic. Majority of divorce cases initiated by a woman in patriarchal societies go through either one or a combination of these roadblocks along the way. We cannot continue to dismiss mental health when it affects twenty-five percent of our population, and we cannot continue to silence ourselves because our society dictates that we should. We cannot continue to live in agony under toxic romantic or familial relationships because the fear of the wrath of izzat looms above us. We cannot continue to lose lives because our ignorance makes us unwilling to accept our own realities.